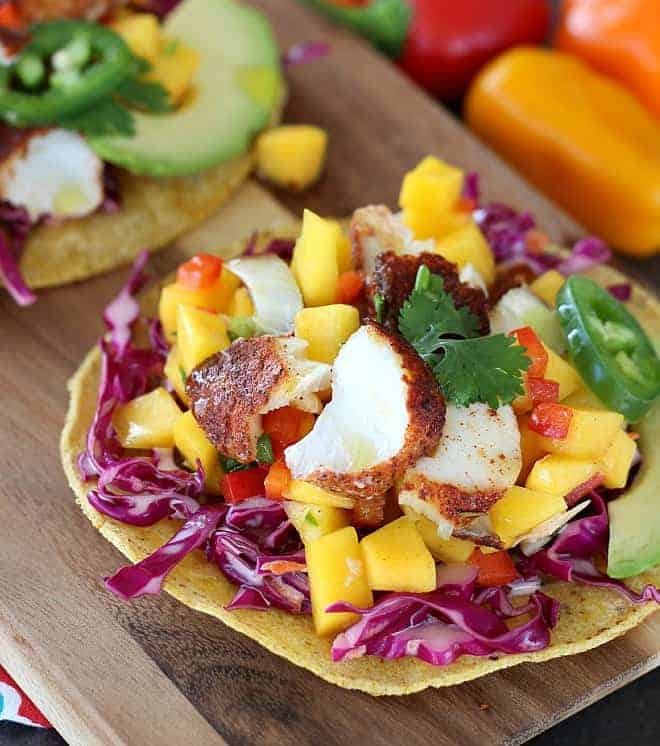 Blackened Fish Tacos with Mango Salsa is a feast for the eyes. And the taste? As fresh and delicious as they look, for sure. 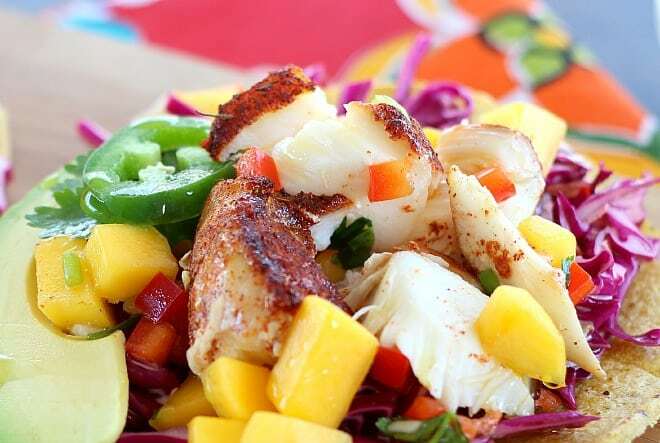 Loaded with perfect contrasting flavors from the bold seasoning on tender, mild fish to the sweet mango salsa that always tastes right with fresh tacos. Simple red cabbage with a light slaw dressing gives crunch and a little bit of tang. If you’re into grilling, get some grill marks on that fish for even more charred flavor. Cook the fish until opaque and flaky for moist and tender texture. The contrast of the bold, blackened seasoning is perfect but not overpowering, so don’t be afraid to add a liberal amount to the fish before cooking. A good-quality white fish is key so don’t skimp here. I used a fresh cod filet that was on sale at my local Whole Foods Market, where they will gladly season the fish with their own blackened seasoning rub. Cook’s note: If your butcher’s counter doesn’t provide this convenience, I’ve included a homemade seasoning rub in the written recipe that I regularly use and love. Mahi Mahi would be another good choice. Or change things up with shrimp or wild salmon. Customize the recipe into tostados or fold into hand-tacos using corn or flour tortillas. For a Paleo or grain-free meal, skip the tortillas all-together. Garnish the tacos with peppers from mild to wild, depending on your heat preference. 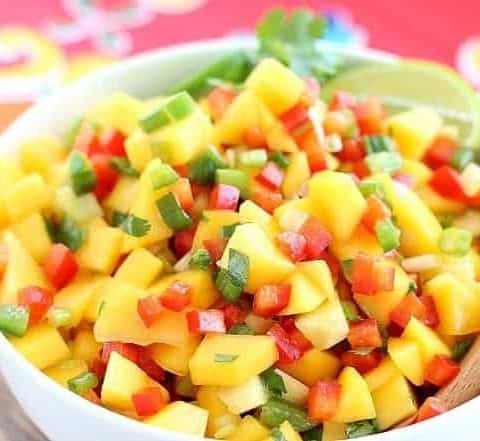 You could use purchased mango salsa, but if fresh mangoes are available to you, I highly recommend you try this salsa recipe. 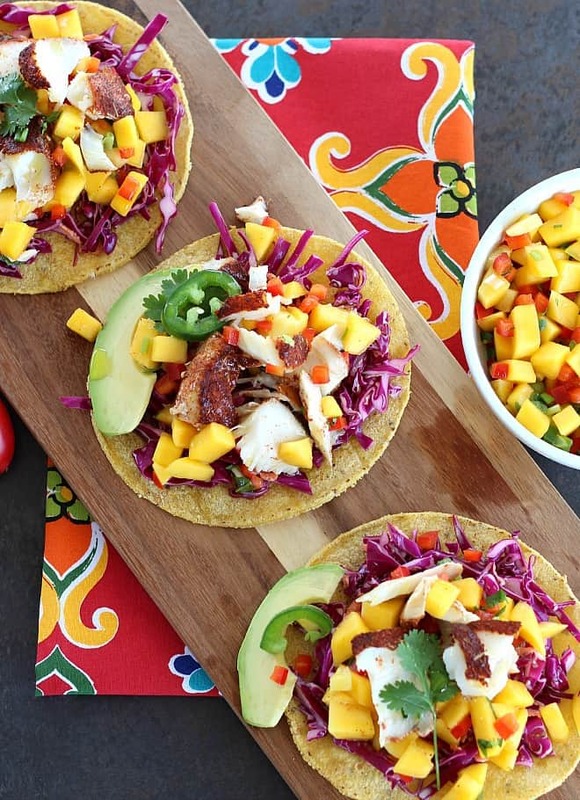 It’s quick and delicious in the tacos, but also perfect served with corn tortilla chips. Try it with blue corn chips for even more color! This meal takes only 30 minutes to prepare, not including the time it takes to make the salsa. So, it’s just right during the week, but also works perfect for a weekend taco bar with friends. The first time I made the blackened fish, my husband was sampling it right out of the oven, so make a lot. It disappears in seconds! Don't skimp on the quality of fish in this recipe. Use a mild, white fish for ultimate success. Cod is a nice fish here. Some butcher counters, like Whole Foods, will add blackened seasoning for you. 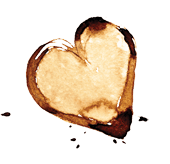 If you don't have that option, a recipe for the perfect blackened spices is included here. Preheat oven to 350F degrees. If fish is not already seasoned by your butcher, combine all blackened ingredients and liberally rub onto all surfaces of fish. Place fish in baking dish drizzled with olive oil. Bake until opaque and flaky, yet still moist, approximately 20 minutes, depending on thickness of fish. While fish is baking, slice cabbage very thinly and then chop into slices about 2" long. In a medium bowl, add mayonnaise, cider vinegar, celery salt and sugar. Add cabbage to dressing and toss. Place in refrigerator until ready to assemble and serve. Once fish is flaky and ready to come out of oven, drizzle with a little olive or avocado oil for extra flavor (optional). Assemble the tacos as you wish - Layer cabbage, salsa, fish and garnishes on flat tortillas, or fold over tortillas for eating by hand. This is a quick and delicious salsa that's great with fish tacos or chips. 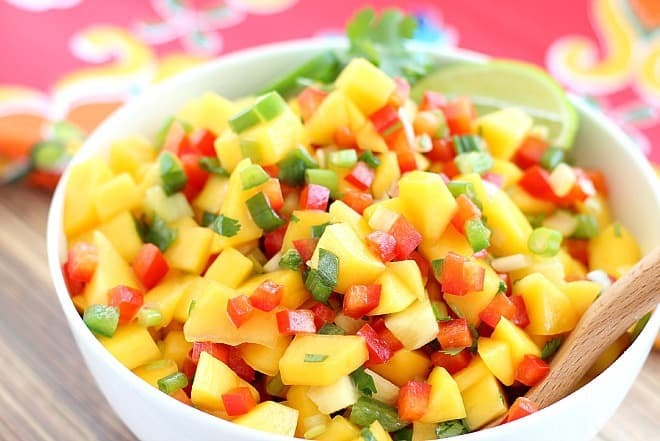 Mix mangoes, pineapple, pepper, onion, cilantro, lime juice and olive oil together in large bowl. Add jalapeno to taste. Adding the ribs and seeds will make the salsa more hot, but even if you want this mild, add a couple ribs and at least 1/4 teaspoon of the seeds. This will not add too much heat and will bring all the flavors together. Refrigerate for at least 30 minutes before serving to allow all ingredients to marinade together. Refrigerate leftovers in an airtight container for up to a week. 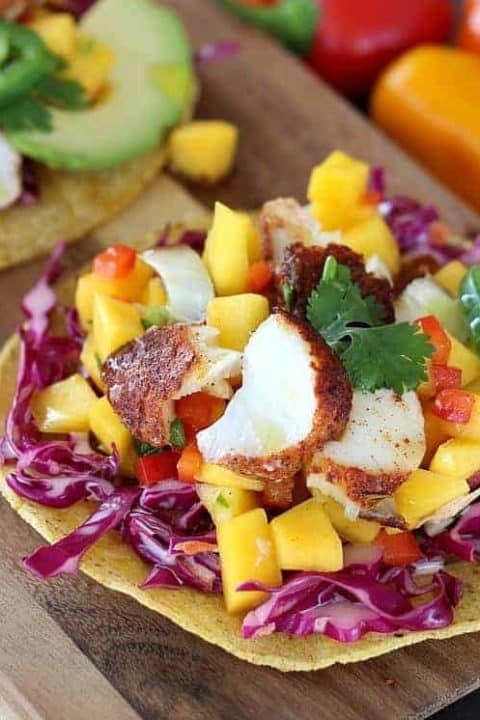 Ooh these fish tacos look seriously so good.. You definitely have got me craving Mexican right now! You are speaking my love language with these gorgeous tacos! Lol, Right? Thanks Ali, I appreciate the compliment. We really love them at our house.